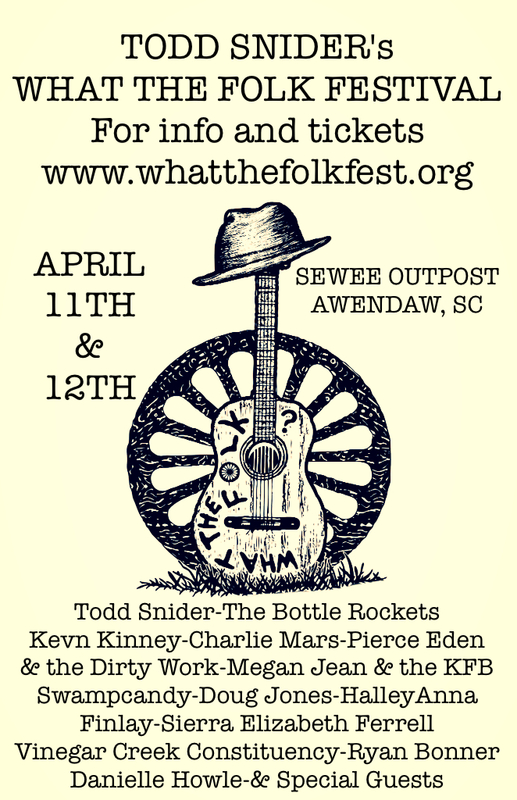 Ford Productions and Awendaw Green present the inaugural What the Folk Music Festival on April 11th from 5pm-10pm and April 12th from 11am-10pm at Sewee Outpost located at 4853 US Hwy. 17 in Awendaw, SC. Doors open at 5pm, Campgrounds at 3pm. and a few more surprise guests! Food trucks Lowcountry Creole, Roti Rolls, and Palmetto Party Wagon will be there along with two beer trucks with domestics and the local brews including Palmetto Brewery. 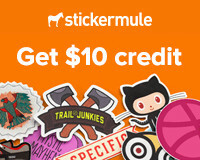 A portion of proceeds will benefit Carolina Studios, a non-profit that provides at risk students a safe environment to foster creative, educational and career-focused initiatives through music technology and media arts. 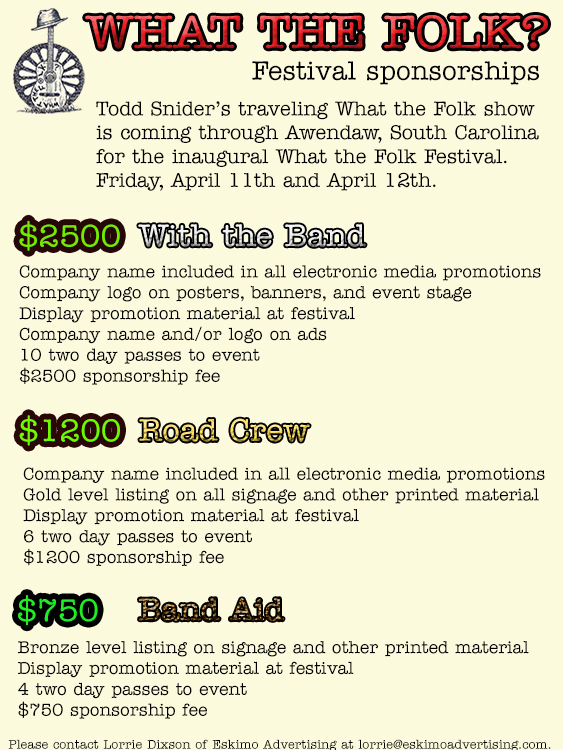 For additional information, line up or tickets, visit www.whatthefolkfest.org. For media inquiries, interviews or sponsorship information, please contact Lorrie Dixson of Eskimo Advertising at lorrie@eskimoadvertising.com. Sewee Association presents Music and Oysters for Wildlife on Saturday, January 11th from 2-8pm at Sewee Outpost, 4853 U.S. 17 North in Awendaw, South Carolina. The live music line up includes The Blue Dogs, Mark Bryan and the Occasional Milkshake, Danielle Howle, Doug Jones, Lincoln Middle High School Steel Band & Red Dog Ramblers. Guests will enjoy all you can eat Bulls Bay Oysters, a live and silent auction and other food and beverages available for purchase. $35 Tickets are on sale at Sewee Dental Care, Sewee Outpost and Etix with children under 12 free. The proceeds from this event will help the SEWEE Association carry out its mission. The South Eastern Wildlife and Environment Education Association (SEWEE Association) is the Friend’s Group for the National Wildlife Refuges (NWR) and National Forest (NF) of coastal South Carolina that works with federal partners to achieve their mission in biological, cultural and educational activities. Take a look at this story about Music and Oysters for Wildlife in a 2012 South Carolina Wildlife Magazine article. 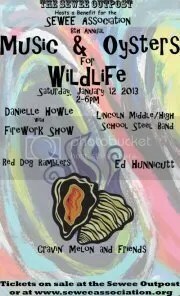 Saturday, January 12th will be an afternoon at Sewee Association’s 2013 Music and Oysters for Wildlife. Bring your knife and glove for all you can eat local Bulls Bay oysters. Plus, fantastic music by great musicians who support this event to give back to the beautiful South Carolina coast they love. The amazing Lincoln Middle/High School Steel Band will open the event again this year followed by Ed Hunnicutt, Red Dog Ramblers, Cravin’ Melon and Friends, Doug Jones, Charles Hedgepath, Tim White, and Donnie Blackwell, and Danielle Howle and her band Firework Show. Just added from Nashville is Maggie Rose. Bring your chair so you can settle in and enjoy the show! This event will support the Sewee Association’s Environmental Education and other important programs. On January 28, both local and national musicians will be sitting in for beloved singer and songwriter, Mac Leaphart, and performing his songs at The Hippodrome. Benefiting a man who has successfully made a career out of connecting with people through his music, proceeds will go to Mac in his ongoing recovery from a serious car accident and recent surgery to remove a brain tumor. A unique experience of camaraderie and good will, performances of Mac’s music will be set against a visual narration on the theatre’s IMAX screen and give life to Mac’s story and his significant impact on those around him. The concert features collaborative performances by Mark Bryan (Hootie and The Blowfish), Danielle Howle, Five Way Friday, John Wesley Satterfield, Joal Rush, Doug Jones (Craven Melon), Luke Cunningham, Greg Payne (The Piedmont Boys), Ryan Bonner, Jamie Resch with Shovels & Rope, Donnie Blackwell and more very special surprise guests. Reid Stone and Guilt Ridden Troubadour featuring members of Mac Leaphart’s current band, Mac Leaphart and My Ragged Company, will act as house band and musical conductors for the night’s celebration. As doors open at 6:30 pm, acoustic music by Jim Marshall (Junkyard Angel) and a silent auction will start in the lobbies. Food concessions provided by Home Team BBQ and a full bar will run throughout the night. The concert begins at 8 p.m. in the theatre and will last until 10 pm followed by more live music by Five Way Friday and John Totaro’s Classic Woodies until 12 a.m. or later. Garage parking is available as well as free parking in the open lot adjacent to the venue. Advance tickets are $17 and may be purchased online at www.charlestonhippodrome.com. Day of show tickets are $20. For more information, visit www.facebook.com/macleaphartbenefit.